“Junebug Night” pen and ink drawing. 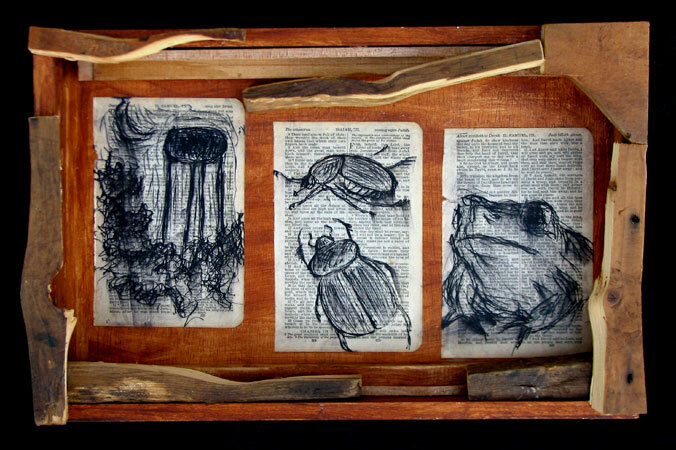 found objects, wood, adhesive, ink, acrylic media. 15.5 in x 10 in x 2.75 in. “Junebug Night” pen and ink drawing.